Rubber straps for watches can be one of the most annoying and unflattering accessories to buy. Most of the time they never look right and are way overpriced; and I am amazed how this one thing can make expensive watches look really cheap and pedestrian or it can make an inexpensive watch look expensive depending on the style, shape and quality. Rubber B is a company that makes the best rubber straps in the world in my opinion. They are 100% made in Switzerland. Their straps are made from the absolute highest caliber material available: pure, genuine Vulcanized Rubber, with no blends, coatings, glues, or bondings. Even though they are not affiliated in any way with Rolex SA, Rubber B specializes in making the best rubber straps in the world for Rolex watches. What makes them different from other after market rubber straps that fit Rolex Watches; Each integrated Rubber B strap is micro-calibrated around the exact watch model(s) for which it has been precisely designed, and has been engineered using “Blocked Integration“, establishing a motionless,rotationless, gap-free mount to your springbars, watch case, and lugs. Also, you have two buckle options, one where you can take the clasp and deploymant buckle of your Rolex professional sports model which is what I prefer, or you can purchase a pin buckle from Rubber B for an additional $20. The Rubber B straps are available in assortment of colors and retail for $220. As distribution is limited and sold in only 4 places in the US, you can also order these straps on their website here. I am super excited to see the rubber straps they will be launching this fall 2013 that will fit Panerai watches. I don’t own a Rubber B strap, but I have plenty of friends who do and they all say the same thing, “it’s the most comfortable and well made rubber strap you will ever own”. Get ready for the return of Tudor! The anticipation is killing me , I cant wait. 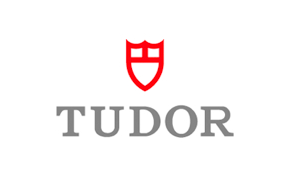 Tudor officially makes its return back to the US in September 2013. Distribution will be tight and everything is in place for Tudor to not only Debut the brand but own the intro-luxury watch market. 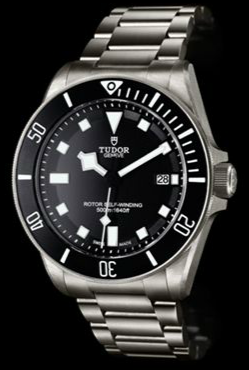 There are a lot of watch brands out there in the three to five thousand dollar price range, but I have a feeling Tudor will swallow the competition and spit them out and dominate. 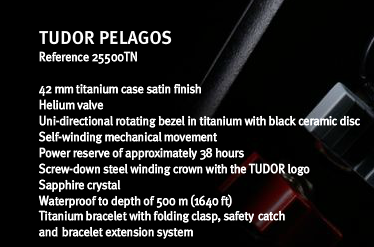 At the end of the day, Tudor is a subsidiary brand of Rolex. With re-branding themselves and making a return to the US and having great products and price points, it will be very hard for the other brands to compete. Those of you who are looking to get into the Rolex family and dont feel like spending ten grand or don’t have the means to do so at this time, you can rest assure that you have variety, quality and incredible styling with Tudor. I had a chance to play with most of the current collection, and let me tell you, I am very impressed. 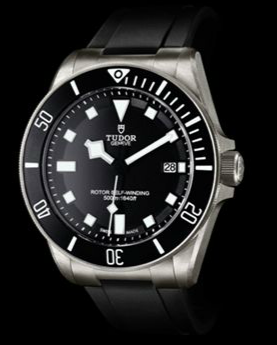 One watch in particular that I need to own in the current Tudor collection is the Pelagos Divers watch in Titanium. This watch is very reminiscent of the Rolex Submariner. I am very impressed with the construction of the entire watch , from the 42 mm Titanium case, the black ceramic bezel, the titanium bracelet with folding clasp, safety catch and bracelet extension system, to the incredible simplicity of the iconic and timeless 3 handed black dial. Unlike Rolex, Tudor does not produce their movements in house, but they use the very robust and reliable ETA 2824 self-winding movement . 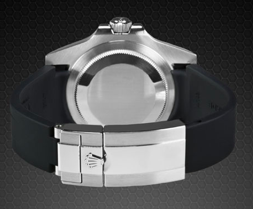 This watch is water resistant to 500 m and has a scratch resistant sapphire crystal. This watch is packaged with an additional rubber strap. 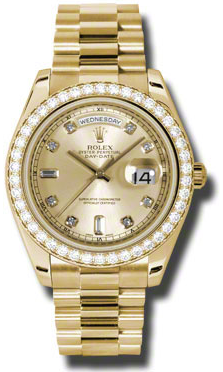 The best part of this watch is the price, at $4,125, it’s going to be difficult to find another watch that comes close. Like this watch, Tudor has done a stellar job with creating a very solid collection which I urge you all to take a close look here. Zenith is a watch brand I have admired for many years. They arguably have the best in-house chronograph movement in the market today. They have been manufacturing watches since 1865 and though they are owned by luxury power house LVMH, they operate completely autonomously. This year at Basel 2013, Zenith released their Pilots collection which has been very well received by the press and collectors alike. The have an entire range of Pilots watches ranging from 40 mm to 57.5 mm in case diameter and complications from GMT to annual calendar and Tourbillons. The watch that impresses me most out of this new Zenith Pilots collection is the new 48 mm stainless steel Type 20 GMT. 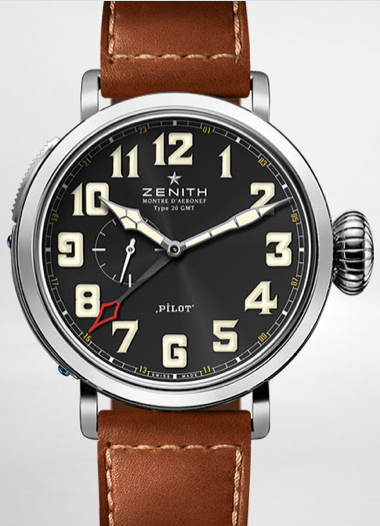 While every brand under the sun has tried to copy the look of IWC Big Pilots Watch, Zenith has gone another direction. This is a very easy to use and well made travel watch. The masculinity of the 48 mm case and simplicity of the matte black Arabic dial makes it an everyday watch, while the GMT second time zone function gives the end user the technical sophisticated side they may be looking for. The luminous Arabic numerals are big and bold without crowding the dial, while the sub-second hand at the 9’oclock position is so seamlessly integrated into the dial and subtle. 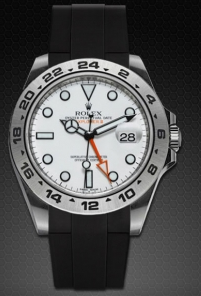 The GMT second time zone hand is distinguished from the hour and minute hand by the red tip. I love how well laid out and clear and contrasting the dial of this watch is. The crown is a nicely rounded screw-down onion crown which has no sharp edges like other pilots watches that can cause injury or irritation to the skin. 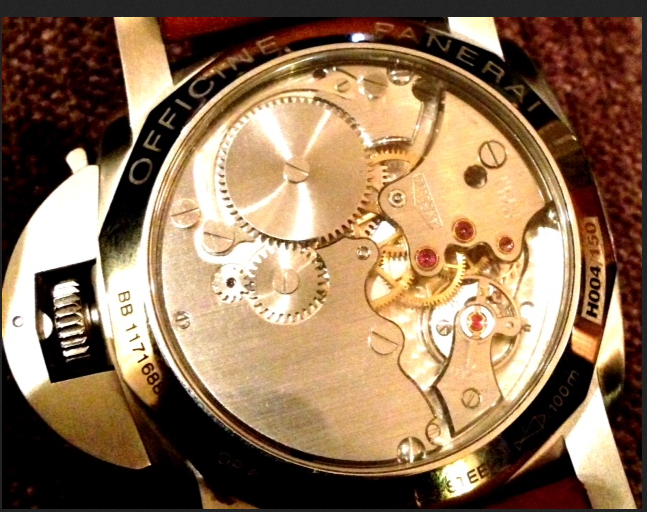 The movement is an in- house elite movement which has been modified to accommodate the GMT function for this watch. 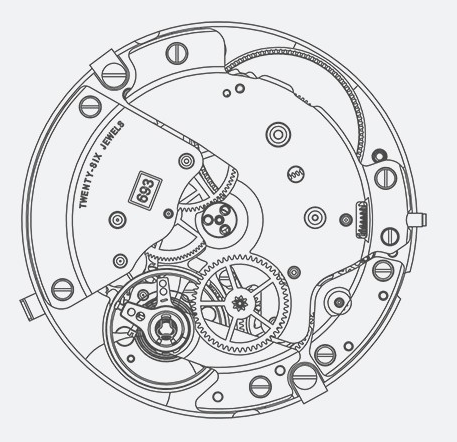 The GMT function is operated by a push button at the 10 o’clock position side of the case. The strap is a nice brown calfskin which is rubber lined and a stainless steel pin buckle. You would think a watch like this being a complete in- house manufacture would be in the ten to twelve thousand dollar range for what you are getting, but I am pleased to tell you that this is one of the best pure valued watches in the industry at $7,900. What are my clients saying about working with me? 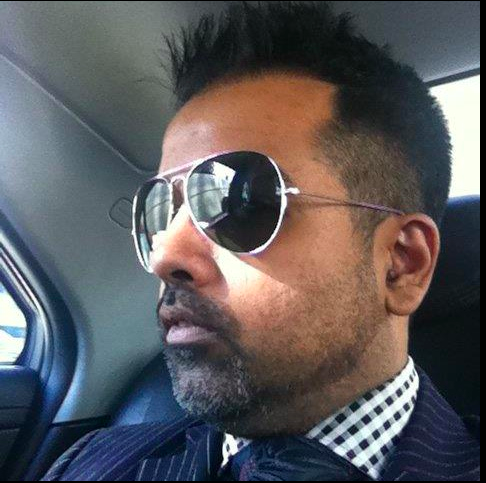 I am very excited to share with you all what my clients are saying about working with me. For those of you who are looking to purchase a watch and haven’t worked with me before, hopefully this video will clarify any questions you may have. Please click the video link below to watch the video. I would love to hear from you. Please submit any questions you have for me by filling out the contact form below the video. Are watches good investments for the future? As the fluctuations in the economy and the market are getting increasingly more unpredictable and unsecure, more and more people are putting their money in tangible things like gold, silver, wine, art and watches? That’s right watches! If you think about it, watches are very transportable, you can take anywhere and some are extremely exclusive and rare and hold or increase in value. Don’t get me wrong, cars are still being purchased for luxury and status, but you can’t take that exotic expensive car with you into the board room like you can with a watch. In my opinion, watches are the ultimate luxury product that you can buy, wear, collect and five to ten years from now make money depending on what you buy and who you listen to. 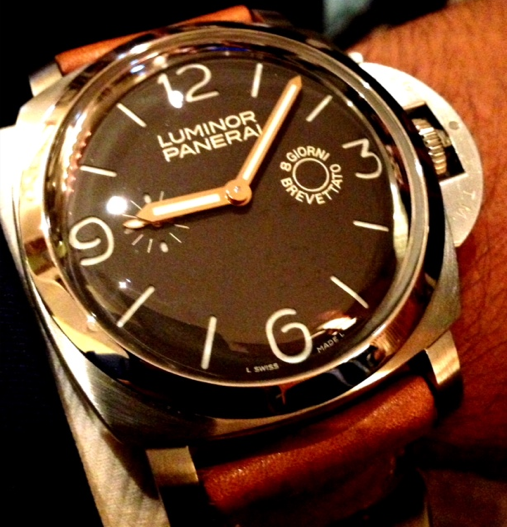 A great example of this would be the Special Edition Panerai PAM00203 ,which made it’s worldwide debut in 2005. I remember when this watch came out, I was in shock that Panerai made a special edition watch in stainless steel for the retail price of $19,900. I was blown away with how expensive that seemed at the time. They only made 150 pieces for the world. I researched it more and realized they had found 150 old 8 Day Angelus movements from the 1950’s, which Panerai refinished to modern-day specs to create this incredible Special Edition. This watch exudes Panerais DNA from the 47 mm 1950 stainless steel case, to the 8 Day original Angelus movement, to the incredible dial which has all four original Panerai Arabic Numerals, a sub second hand next to the nine o’clock, and in Italian is written 8 days, making this completely iconic and distinctive from any other 1950 watch Panerai has ever made till today. At it’s pinnacle, this watch has achieved record breaking numbers at auction of close to $200,000. Should you be so lucky to find one used in decent shape, your still looking at about $100,000. Talk about an amazing investment! Believe you me, if I had $20,000 lying around at that time, I totally would have done it. This goes to show you that watches are the new investment for the future, and before making that watch purchase, please consider what you are buying and who you are consulting. I am always here and will let you know my thoughts, if I can ever be of service. I feel it’s important to buy a watch because you like the way it looks and feels, but it’s equally important to buy something that holds or increases its value that you can pass down from generation to generation. Please feel free to contact me with your questions and ideas by filling out the contact form below. In the last couple of years, Alpina has been making watches I have totally been taking notice of. They have evolved and gotten better in design, quality and size. Those of you unaware of this brand, it was founded by Gottlieb Hauser in 1883 and more than any other watchmaker, Gottlieb Hauser was responsible for the concept of the sports watch as we know it today. The brand today comprises of 5 different collections of Aviation, Diving, Sailing, Adventure and Racing. 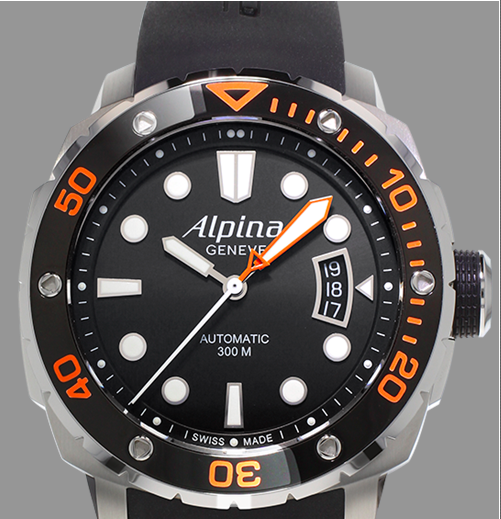 Their newest watch known as the Alpina 300 meters Extreme Divers orange, combines the world of sailing/diving and aviation. Traditionally, divers watches are round, this is a 44 mm stainless steel cushion shaped case that is available on a stainless steel bracelet or a rubber strap. The dial is a bold black divers dial with luminous dots and indices for the numbers while the contrasting luminous orange piped minute hand is a nice touch. The date aperture is reminiscent of a pilots watch date window. I am not quite sure how I feel about that particular design, as I am a purest and prefer a cleaner aesthetic, but to each their own. Personally, I like the watch on the rubber strap better than the version on a bracelet The best part is, this watch retails for $1,450 which to me is the best pure valued divers watch in the market. Should you want a sportier,chunky more monocromatic look, you can buy this watch on a stainless steel bracelet for a few hundred dollars more. You also get the exhibition sapphire crystal case back which displays the beautiful self winding movement and if you want to swim or dive, the watch is water resistant to 300 meters, has a screw down crown and a uni-directional diving bezel. Alpina is a small family owned company, even though these watches aren’t numbered, they are limited production, so you won’t just see them anywhere, which makes them more exclusive and reliable. Now that newly appointed CEO of Montblanc, Jerome Lambert, is no longer running sister brand Jaeger-LeCoultre, it leaves the question, Who will take his place? 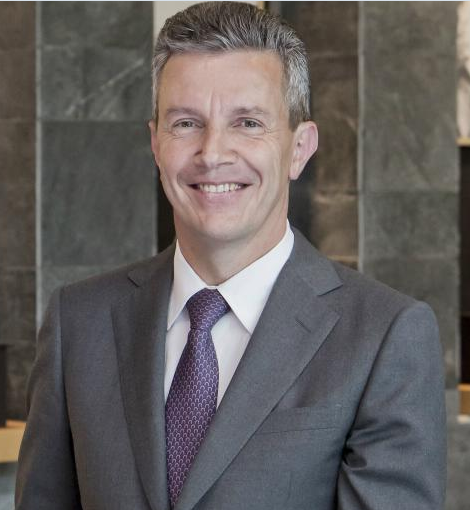 As of July 1 ,2013 Daniel Riedo became the newest CEO of Jaeger-LeCoultre worldwide. Mr Riedo will have some pretty big shoes to fill, but I am sure he can accomplish this with sophistication, style and grace. Daniel Riedo joined Jaeger-LeCoutlre in January of 2011 as an Industrial Director. He is no stranger to taking on big projects and new challenges. Before he joined Jaeger-LeCoultre, he spent over twelve years with the Rolex Group, where he headed up production at Rolex Geneva and at the same time executed Marketing Development for Tudor. Mr Riedos experience with the biggest brand in the world combined with his education where he graduated from the University of Geneva in corporate management and of the Geneva School of Engineering, will give this brand a broader prospective and catapult them to a different level globally. I recently had the privilege to play with this watch and I was blown away. Generally speaking, I like really clean and simple watches without a lot of complication, but this watch proved to be a rare exception. From the impressive stainless steel 44mm case, to the grey/black ceramic bezel, to the countdown timer and chronograph functions on the dial, this watch boasts quality, durability and heart all at the same time. 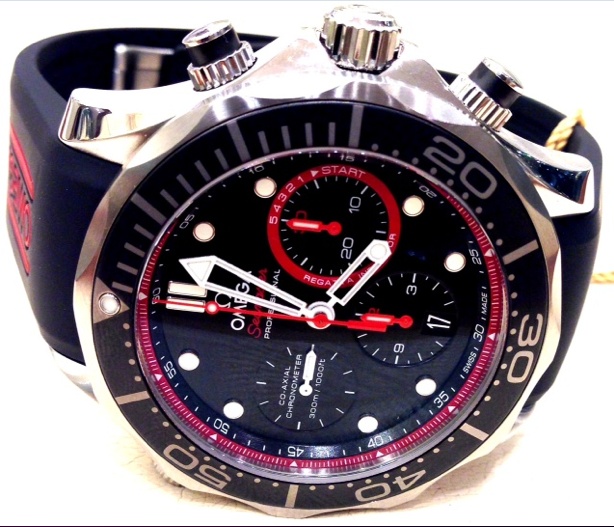 The colors of red and black are used throughout the watch dominantly to reinforce Omegas brand identity as well as tie in the colors of ETZN Team Boats. 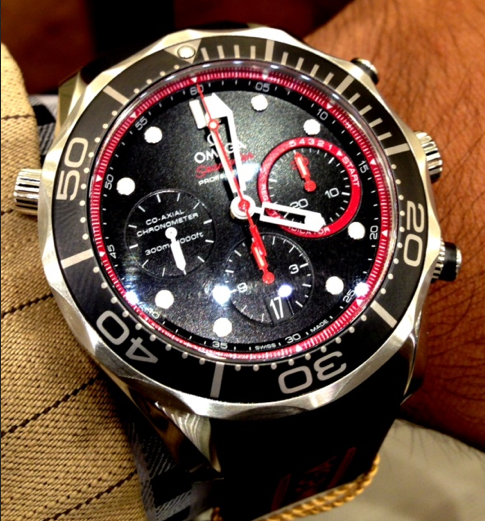 What makes this watch so easy to read is that the chronograph sub-dials are recessed, which makes the bold and classic Omega white hands and matte black dial pop, while the accents of red are a nice contrast bringing the entire theme of the watch together completely organically. The 44 mm stainless steel case is nice and thick, making it look much more substantial and sporty, while the integrated black rubber strap is comfortable and wearable in any situation. 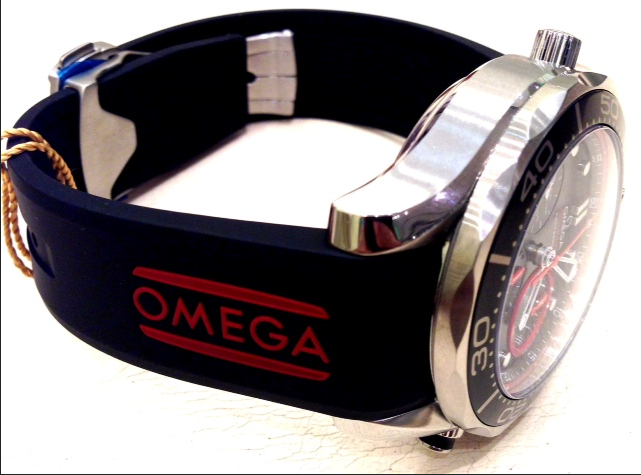 I even like the way Omega is written on the strap in red. Even though the movement is not completely in-house, it has a very reliable and well made 3330 movement, which is ETA based combined with a column wheel chronograph and co-axial escapement with silicon parts. 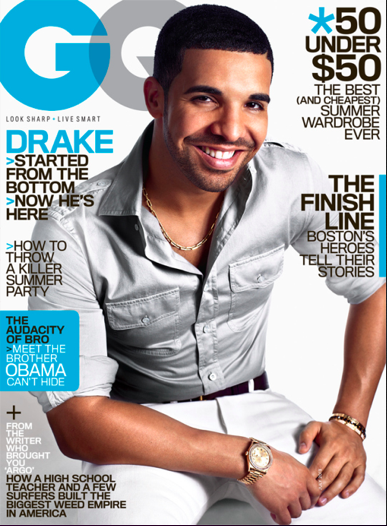 The watch is also C.O.S.C. certified for accuracy. On the underside of the watch, there is an engraving of the ETNZ team logo and a mark that the watch is to help celebrate the 34th anniversary of the games. 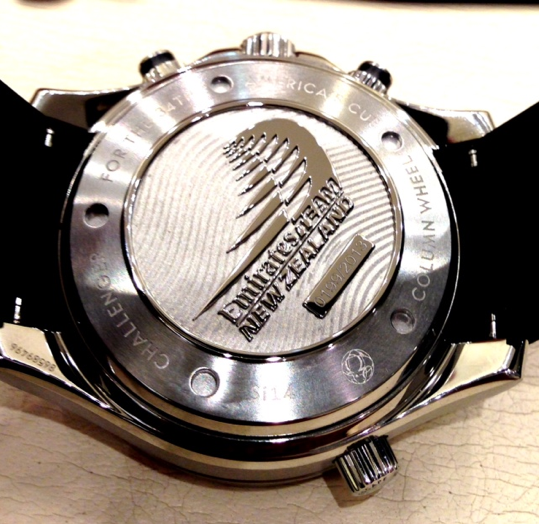 This watch is limited to 2013 pieces for the world which is also engraved on the case back. Finally, I am very impressed because you would think a watch like this would easily be in the $10,000 price range, but it’s very well priced at $6,600 for a limited edition sports watch. To complete the story, Omega has included an addition stainless steel bracelet for versatility which comes packaged in the specialty box.